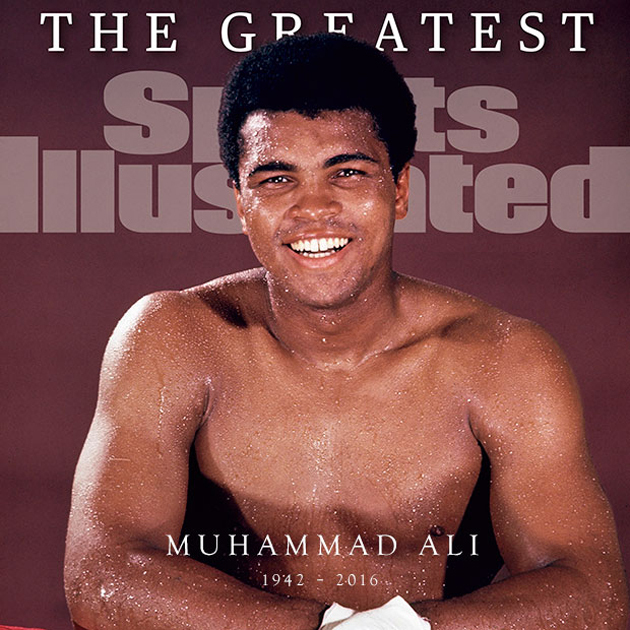 Muhammad Ali will grace the cover of Sports Illustrated this week for the 40th time. Beginning with “Cassius Invades Britain” in 1963, SI has followed the great boxer for over 50 years, covering The Rumble in the Jungle, The Thrilla in Manila, and other great career moments. SI’s Muhammad Ali vault includes each one of his covers, as well as his greatest quotes, and SI’s best photos of the great. Ali’s 40th cover, which will hit stands on June 8, was shot by Neil Leifer for Sports Illustrated. Ali died on Friday at the age of 74 after entering the hospital on June 2 to be treated for a respiratory issue. He died with his family at his side as his conditioned worsened. Born Cassius Clay, Ali was widely considered one of the greatest boxers of all time. His legacy in the ring and out, as a three-time heavyweight champion and powerful activist, made him one of the most iconic and well-known Americans ever.